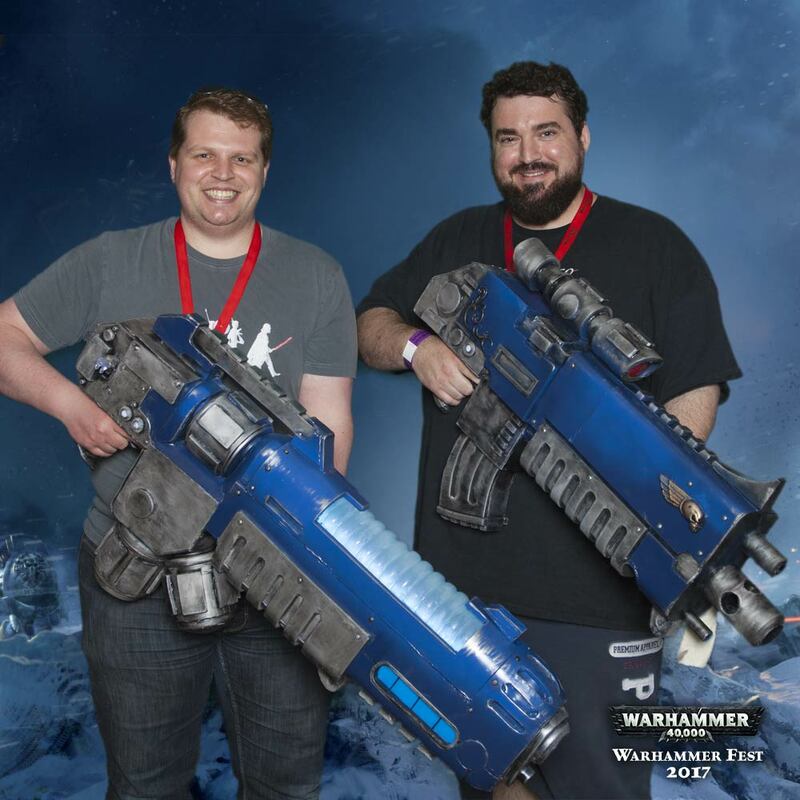 The 2Ps Podcast | Warhammer, Wargaming and other related insanity! Hail mighty Listeners! Welcome to the 2Ps podcast!! We are a lighthearted wargaming related podcast by two enthusiasts (addicts), we don’t take ourselves at all seriously and intend to have a good time, and hopefully, you will too! We love pretty much all aspects of wargaming, and we love chatting about it. We would love to have you along for the ride so click the link, and join us in the Drop Pod!…. Unless of course, you’re a Primaris, then sorry, you cant. Head to our community page for club listings, maps and event calendars! Occasionally our ramblings make it into written format! Sigmar be merciful! If you’re into Warhammer/Warhammer 40’000 (or any table top wargaming really) and you have a sense of humour then listen to this podcast. If not, well, try it anyway, you might still enjoy it. Ben and Dan love this hobby, and that definitely comes through when they get to sit down and talk about it together. Both have different approaches and views on the subject but they compliment each other as opposed to grinding and annoying. The banter is great, the information is well informed, and (being a father myself) the dad view on the hobby is insightful and easily relatable. Thanks guys. Keep up the good work.